ReviewerBot wanders around cinema foyers spouting generative reviews of the film about to play. It speaks the most commonly used comments about films so that you don’t have to. Shelly used this dataset to write a programme that categorises reviews as positive or negative, and then generates new film reviews which are spoken by the robots miniature loud hailer. Audiences can influence the robot’s reviews by tweeting how positive or negative they feel about the film. Neil created a simple Arduino robot to give ReviewerBot a body and a voice. 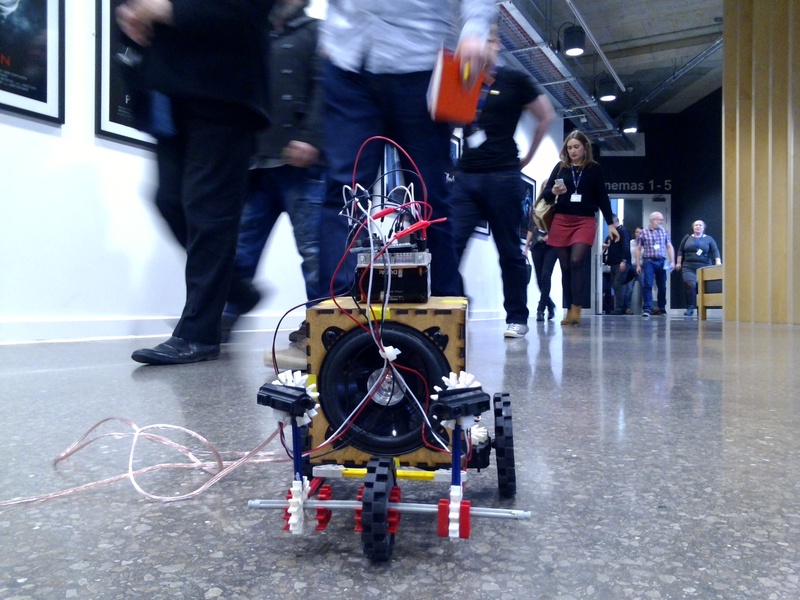 AND Hack 2015 took place at the This Way Up film exhibition conference at HOME, Manchester.